Topics: Abbeywood Records, Artists, Publishing, and Distributors. my.privatedns.com, and your.privatedns.com are its DNS Nameservers. It is hosted by Iweb Technologies Inc (Quebec, Montreal,) using Apache/2 web server. 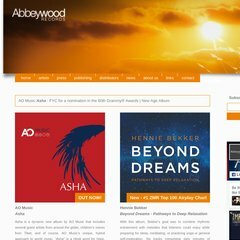 Abbeywoodrecords.com's IP address is 174.142.75.179. PING www. (174.142.75.179) 56(84) bytes of data.